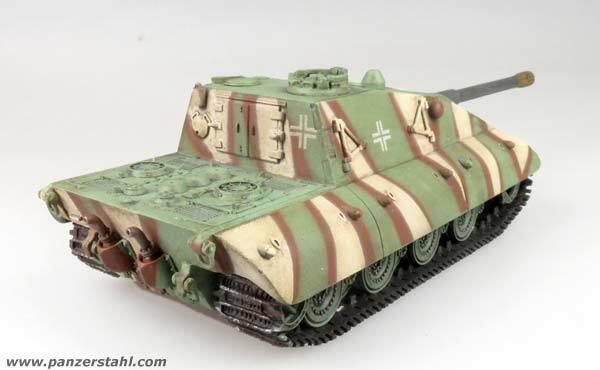 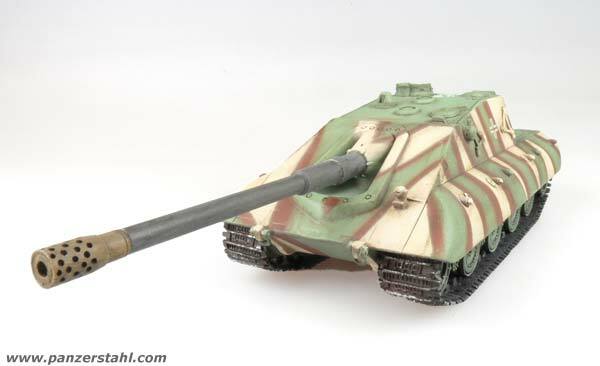 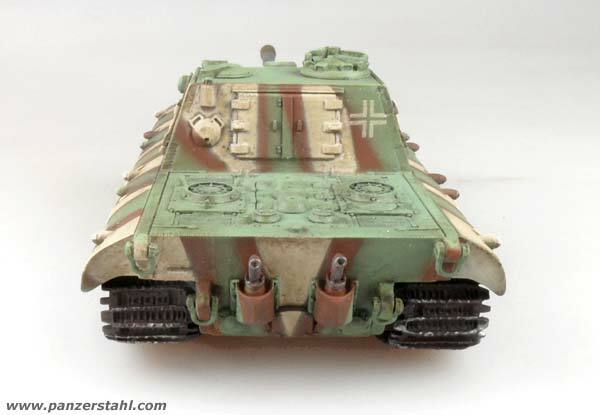 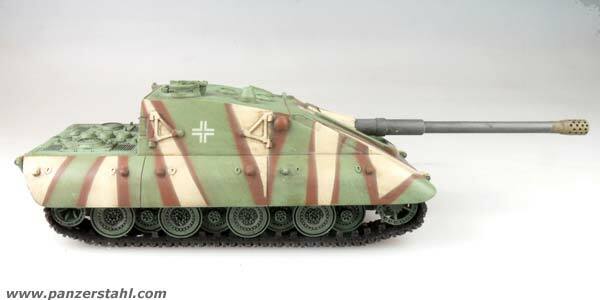 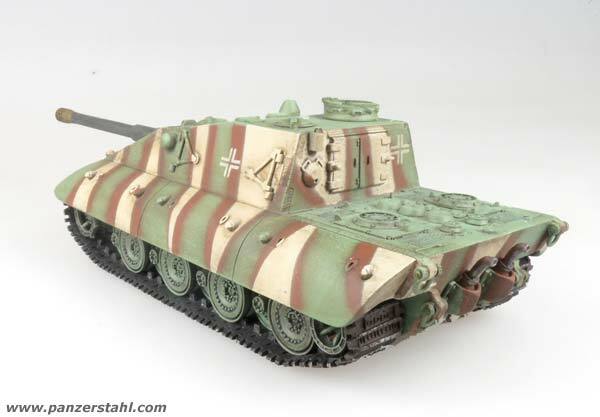 The E-100 StuG was a conceptional design based on the super heavy tank E-100. 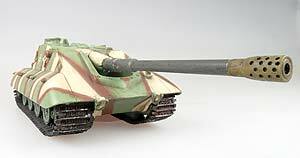 Instead of a rotatable turret it was planned to use a fixed superstructure with an inclined front plate. 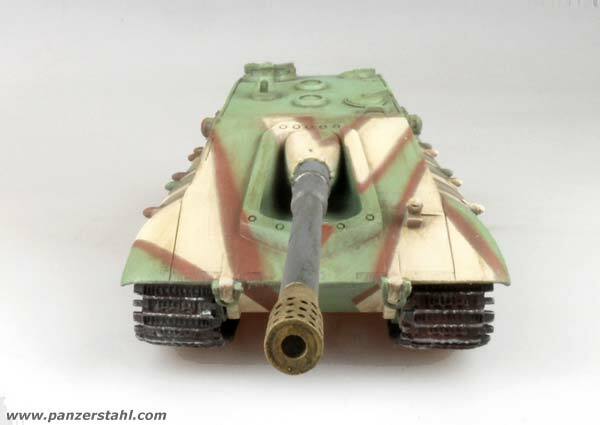 the huge 17.4cm KwK was planned as main gun. 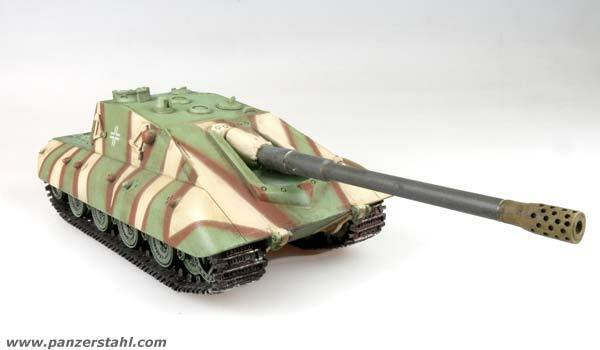 This design never went off any drawing board althogh it had a very innovative design including the already tested rangefinder.